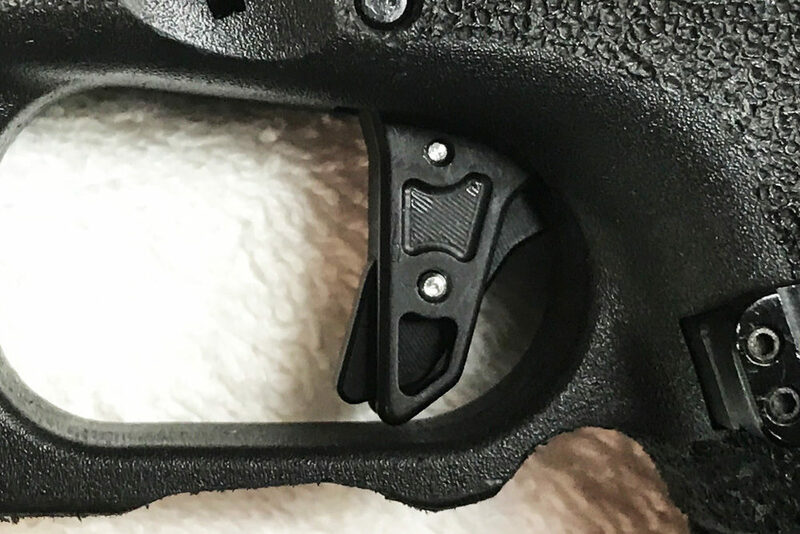 The new Long Ranger Gen 5 trigger: We incorporated the same dynamics of the original Edge into this longer version fit specifically for Generation 5 Glocks. Broad face, deeper and fuller use of trigger well, and immediate satisfaction when you lay your finger on the trigger. No pre-travel, no spongy pull, no OEM gritty feel. It walls immediately and provides a crisp and consistent pull and reset every time. Trigger wobble from OEM polymer…gone. 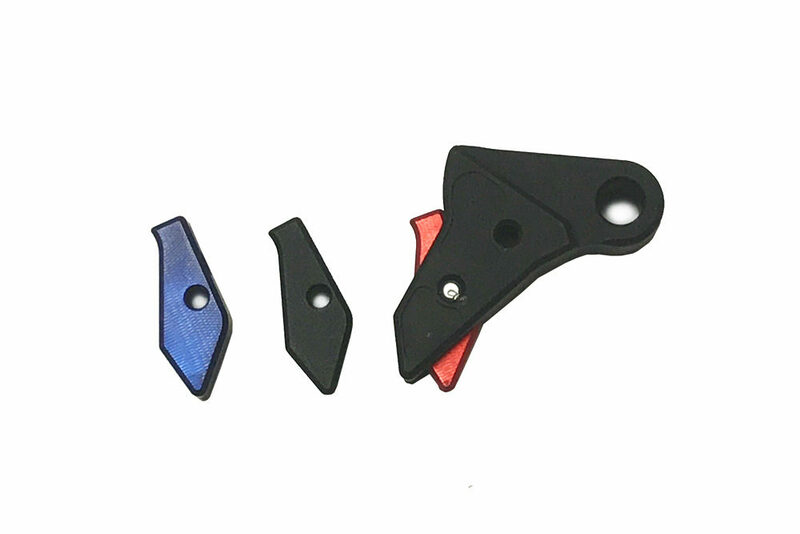 This light weight aluminum trigger comes in black with black, red, and blue trigger safety standard. 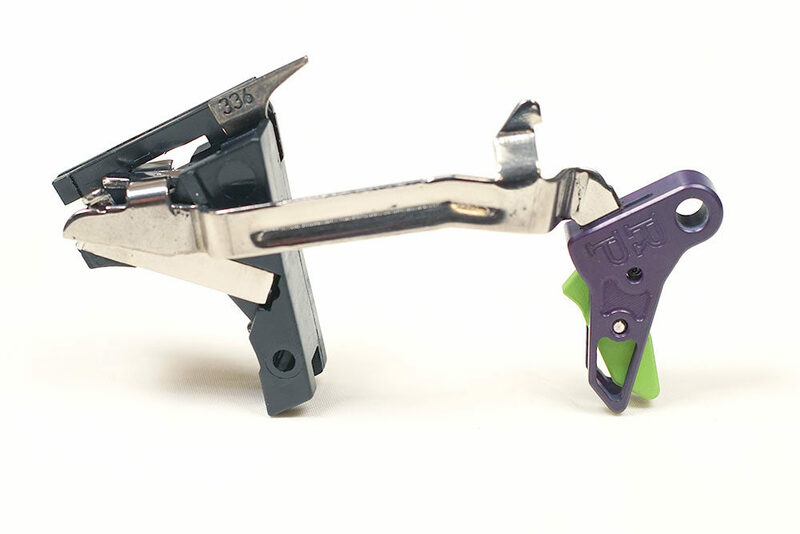 However, if you want a custom anodized color combination, ask. 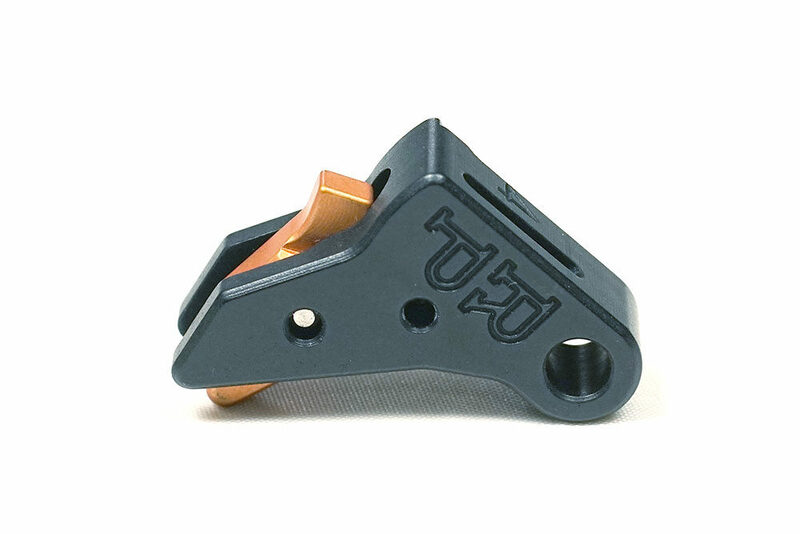 We do our own anodizing and if you want a trigger color other than black, ask. 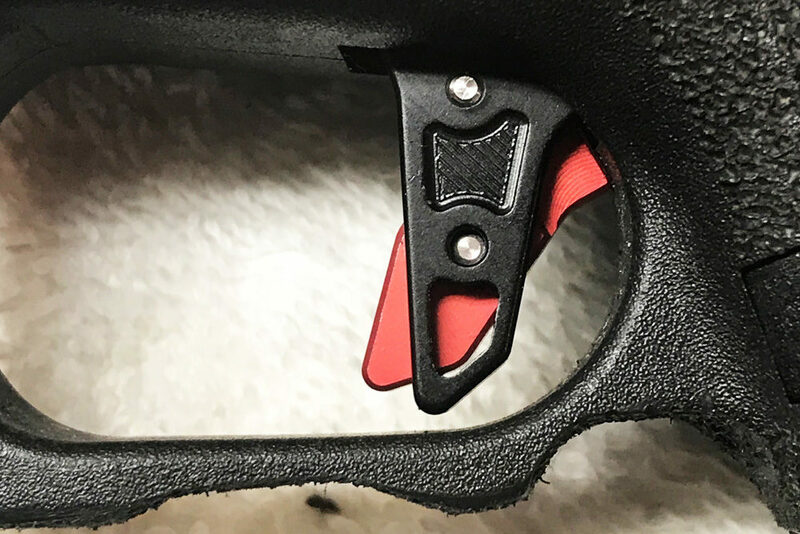 Want a red trigger with black safety? 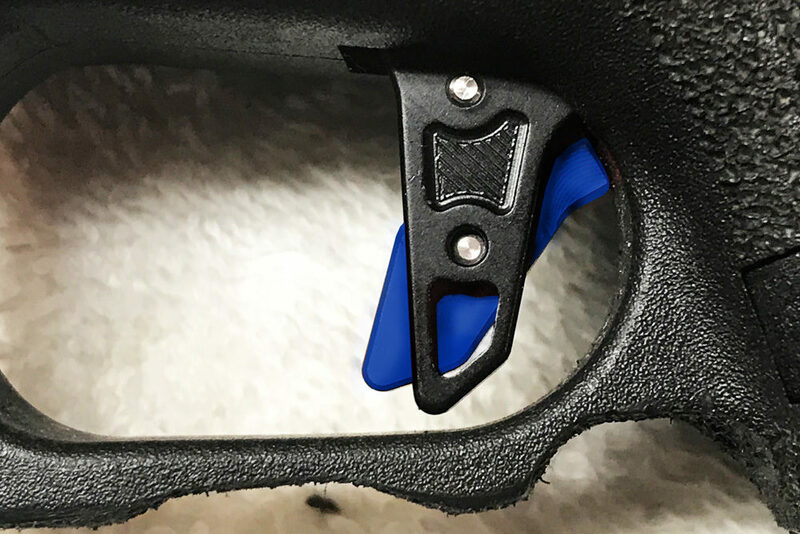 A blue trigger with white (bare aluminum) safety. We can make it happen. 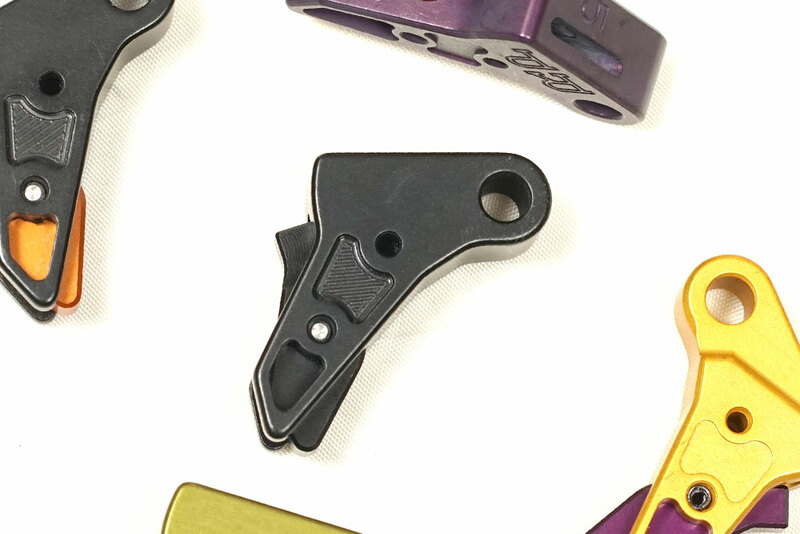 A purple safety or trigger? 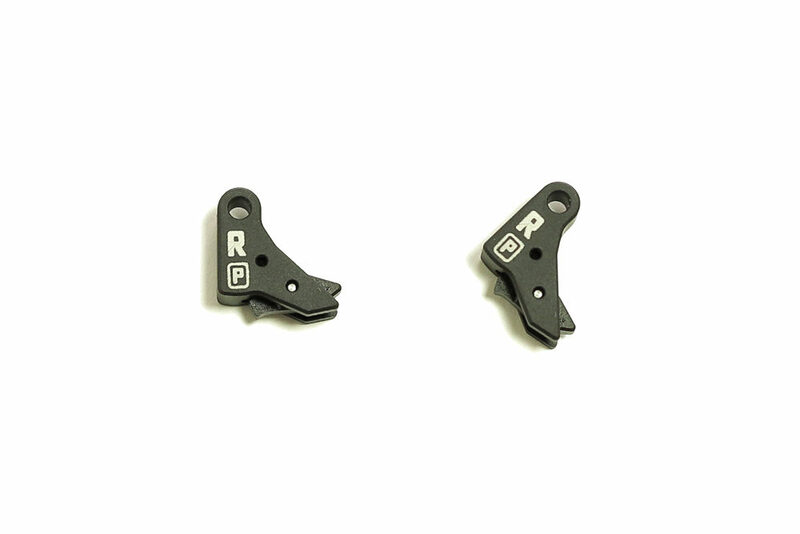 This trigger fits only model 5 Glocks, and is designed to replace your OEM trigger shoe and works with OEM parts. 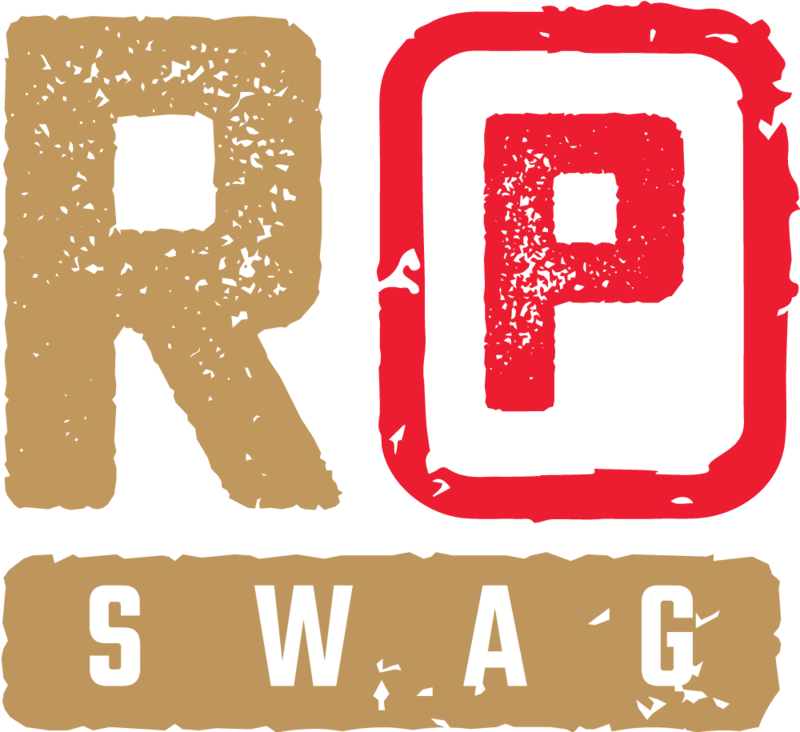 Simple to install and guaranteed with a no hassle full refund if you don’t like it for any reason.